Awesome location for swimming tests for the PADI Divemaster course! 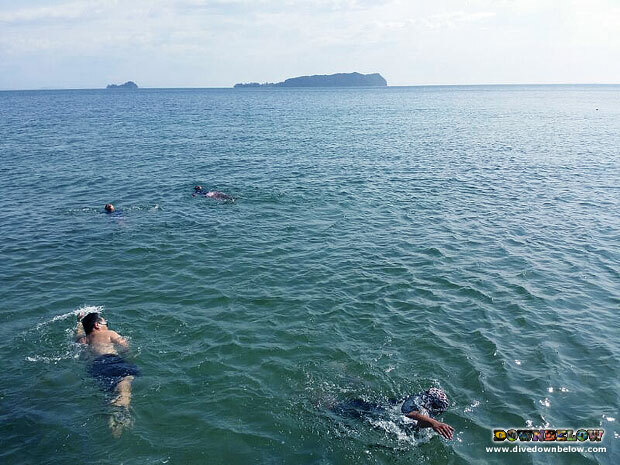 Home/Divemaster, News/Awesome location for swimming tests for the PADI Divemaster course! The PADI Divemaster course is on the way now as professional candidates practice for their swimming tests, which are a performance requirement to qualify! The waterskills exercises that must be completed are: 400 metre swim without the use of any swimming aids, 800 metre swim with a mask, snorkel and fins, 100 metre tired diver tow, treading water for 15 minutes and exchanging equipment with a dive buddy. These waterskills exercises are to test the candidate on their stamina and problem-solving skills, which will give them an understanding of their personal limits. For further information on the PADI Divemaster course, get in touch with one of our friendly and helpful Head Office staff in KK Times Square to arrange an itinerary to suit your Go PRO goals! By Joanne Swann|2014-03-17T13:41:02+08:00March 17th, 2014|Divemaster, News|Comments Off on Awesome location for swimming tests for the PADI Divemaster course!